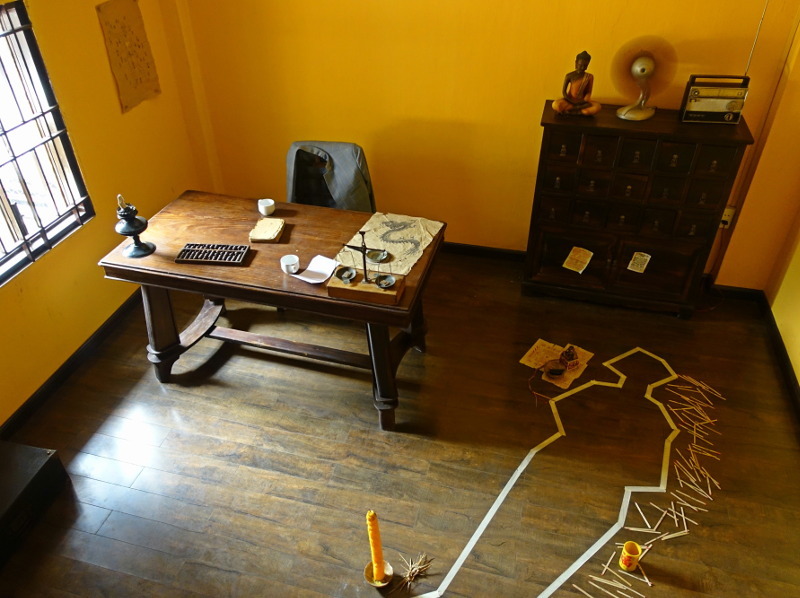 Halfway between a life-sized investigation, an original city-tour and a treasure hunt, URBAN TALES invites you to solve a mysterious case of murder that took place in the thick ambiance of Cholon. 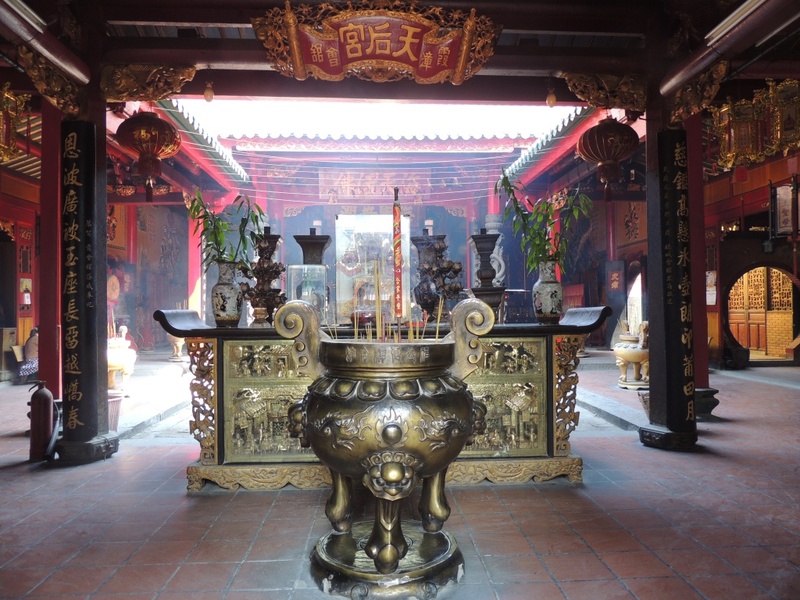 By following in the footsteps of the culprit you will also enjoy an unusual self-guided tour of Ho Chi Minh City’s fascinating Chinese quarter. This 1/2 day excursion has been especially designed for independent travellers willing to discover the city by themselves. 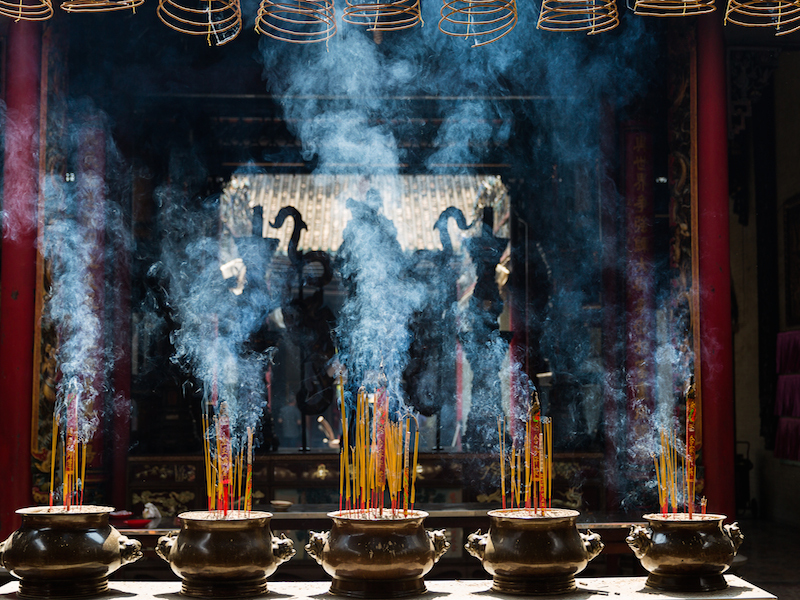 The scenario will lead visitors to some of Cholon best kept secrets: century-old temples and pagodas, traditional Chinese medicine boutiques, votive paper shops and hidden lanes. 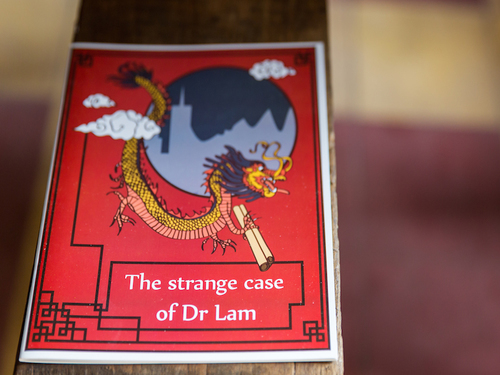 URBAN TALES is also a formidable opportunity to meet locals who will interact with you all along this scripted walking tour to bring you additional clues and help you solve the murder of Dr Lam. 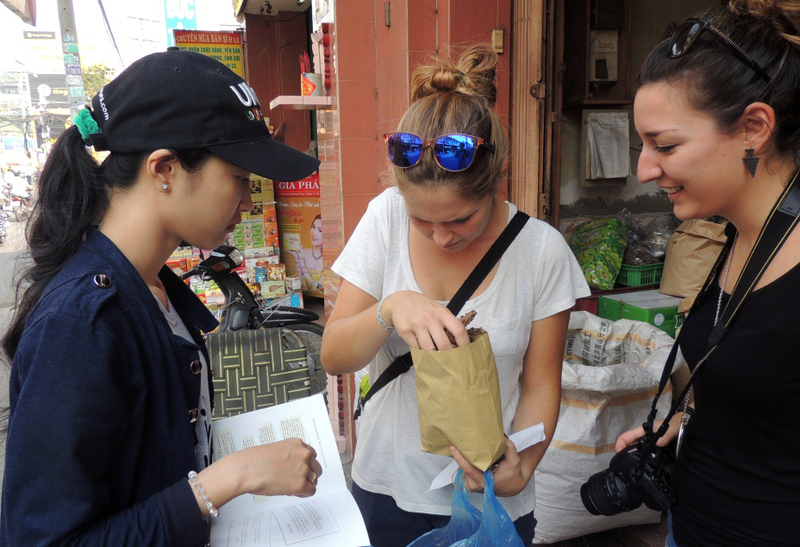 Discover the Chinese district and Investigate! At around 10:30PM last night, the body of Dr. Lam was discovered on the floor of his apartment in central Cholon. He was most certainly murdered in a strange, ritualistic fashion – and while the police do have a number of people in custody, they remain baffled. 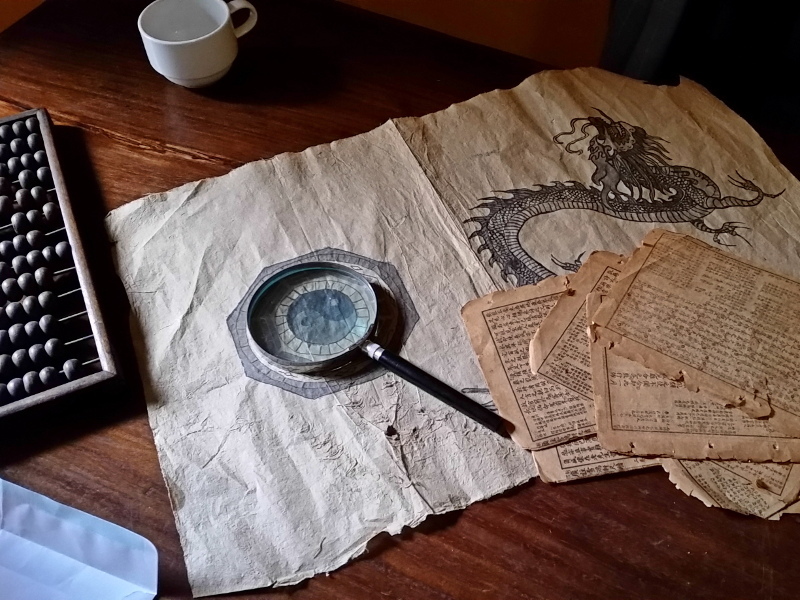 Their best chance at solving the case is somewhat unorthodox: bring in a group of tourists, equip them with a compass, map and magnifying glass, and send them out into the streets of Chinatown in search of clues. Find the murderer, and they may be on their way to uncovering an ancient mystery that has lain hidden in the shadows of the old Chinese city for centuries. 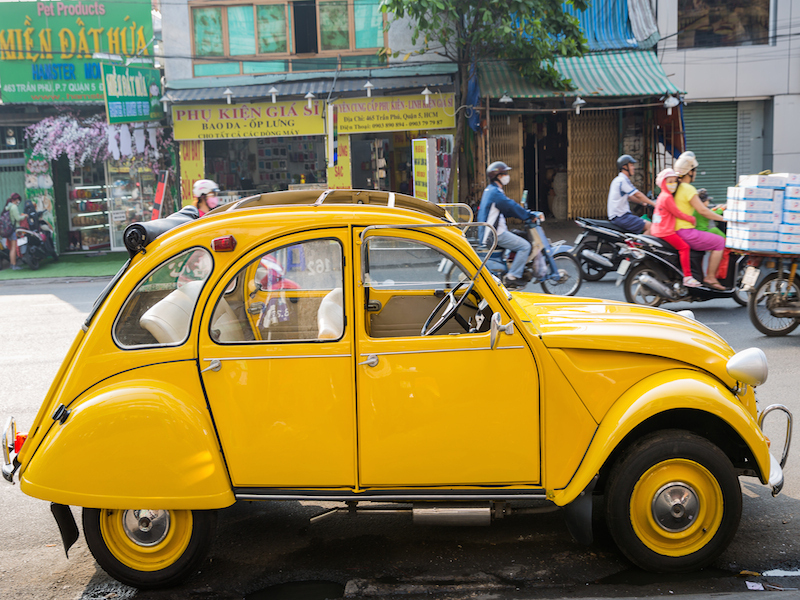 8h15: Pick up at your hotel and transfer to Cholon from the city center by vintage car(s) (Peugeot 404, Citroen La Dalat or Citroen 2cv). If you have chosen to use YOUR OWN TRANSPORTATION, you are kindly required to meet us at 8h45 at the starting point of the game. (362 Trần Phú, Phường 7, Quận 5, Hồ Chí Minh). Please note the departure is set at 8h45am sharp. Please manage to be on time at the RDV point. 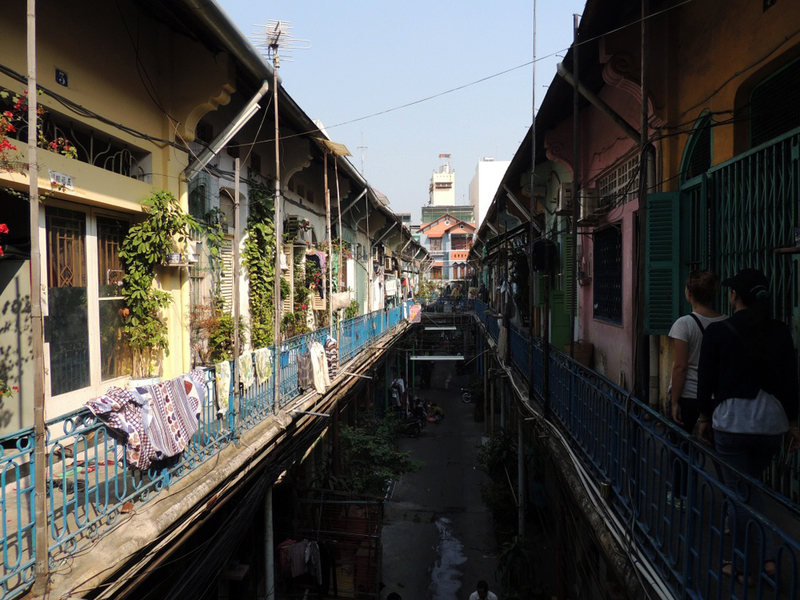 8h45: Welcome to Dr Lam’s apartment, located in a genuine old-style block that offers a rare chance for non-Vietnamese to see how the locals live. A welcome tea is served while your host introduces the concept of the game and gives you general information about the area. 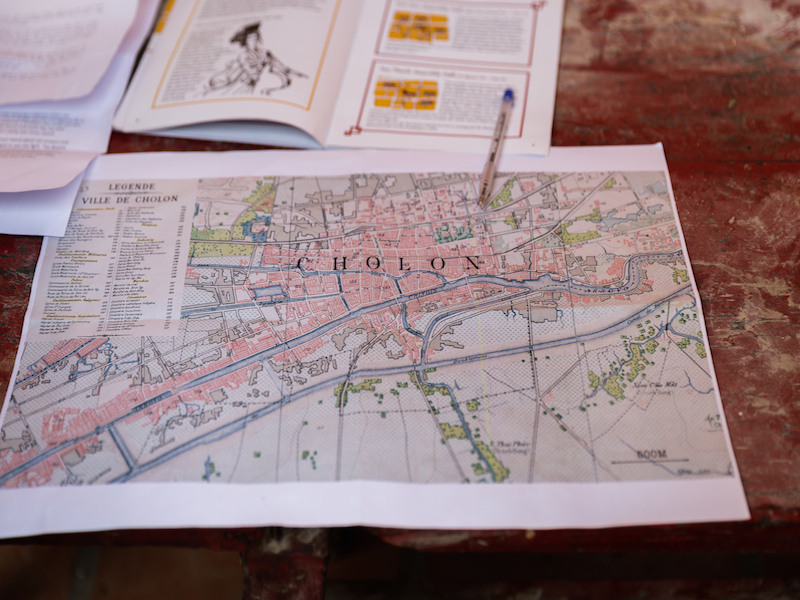 9h00: After visiting the crime scene and finding your first clues, you will be handed an illustrated road book as well as a simple mobile phone with which you can stay in contact with your host and receive extra guidance at any time, Then you will begin your own exploration of Cholon. 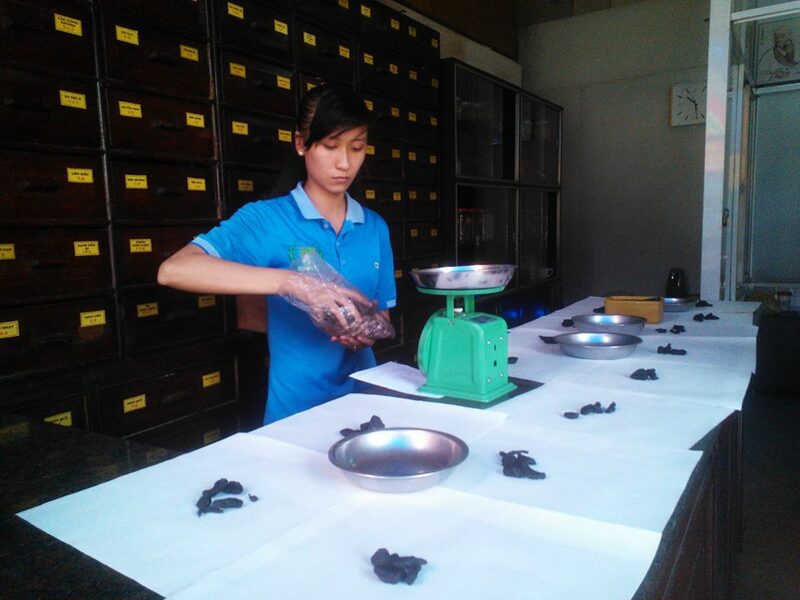 You will have to rely on your intuition and plunge into the past of Cholon in order to solve this mysterious murder. Along the way you will encounter actors who will help you in your research. 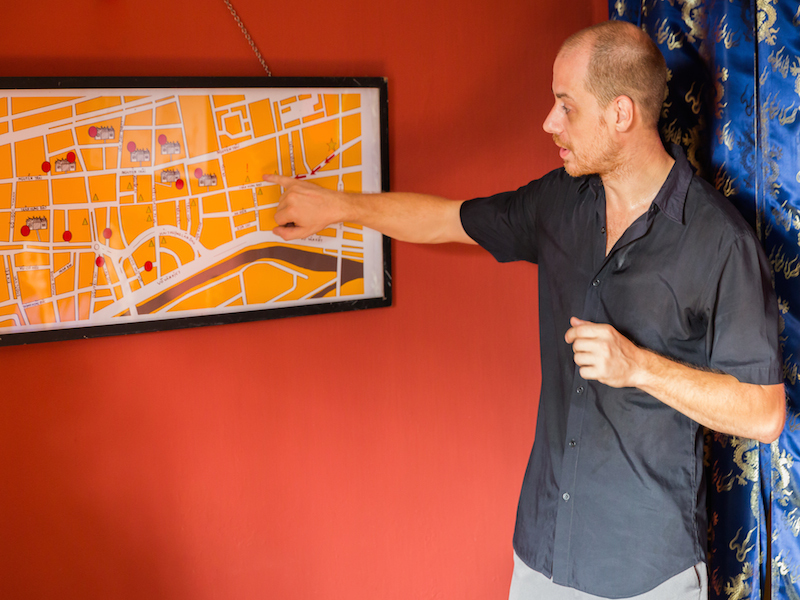 12h30: Your journey will lead you through the streets of the neighborhood, old traditional medicine shops and ancient temples. 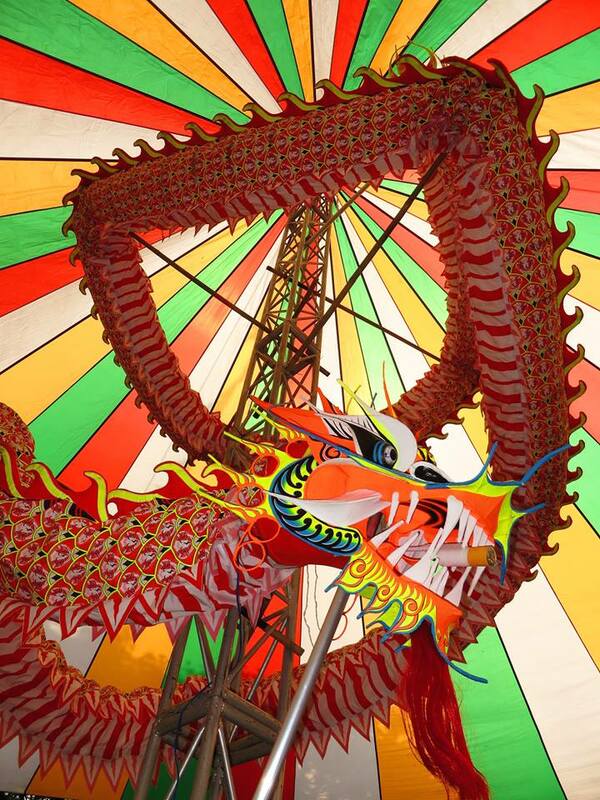 By late morning, you will have traveled most of Cholon while following a fascinating storyline.